Home > SPECIAL OFFERS! ....click on to view > Line Marking Paint from only £1.99 each! 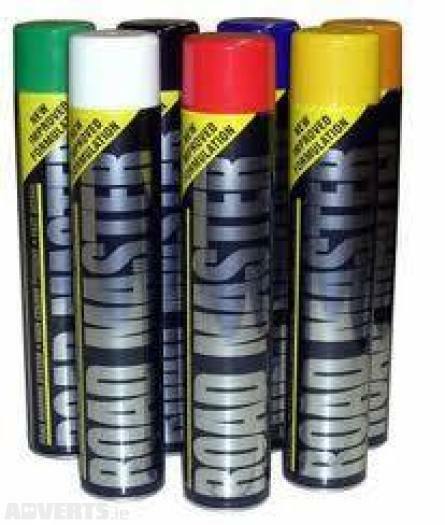 Roadmaster line marking paint is a quality line-marking paint which dries within 30 min and fully cured in 24 hours. Can be applied by hand as a spot marker or used with a line marking applicator. Suitable for use on asphalt, concrete, gravel and grass. 750ml cans available in Red, Blue, Yellow, Orange, Green, White or Black colours. WHEN YOU BUY 6 BOXES OF 12! For large quantities please discuss your requirements with the Siteright team.